There is a secret that I have been keeping from all of you. You may have seen little sneak peaks, if you are paying close attention. But I am ready to let the cat out of the bag (no pun intended), and officially announce my HUGE news!! Are you ready for it? Do you think that you can handle it? Confessions of the Perfect Mom has launched its first book. Yup you read that right! There is a new parenting book on the market, and you are going to love it! Confessions Of The Perfect Mom: Baby and Toddler Years is all about those not so perfect moments during the first few years of being a mom. Everything from yelling at nurses during labor, to stinky diapers, to temper tantrums and everything in between. I am pulling back the curtain on the facade of “perfect” moms everywhere. 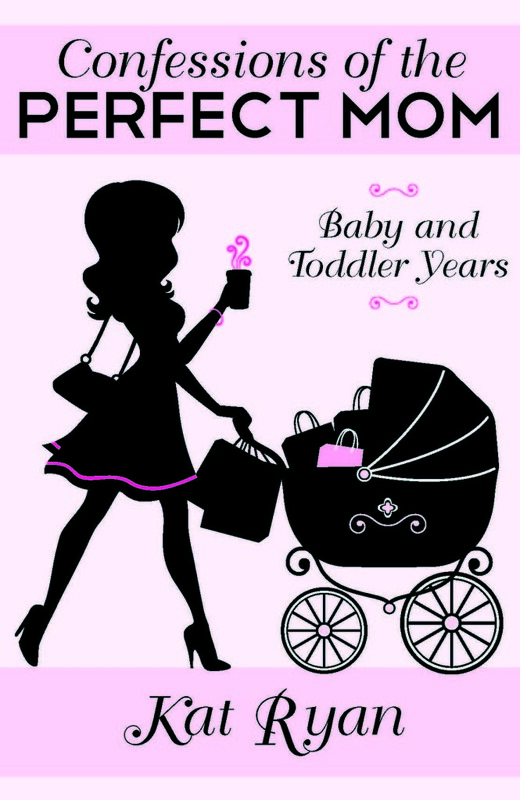 It is a quick, witty, laugh out loud funny glimpse into the life of motherhood. One more secret, there is no such thing as perfect! Fun! I was obsessed with parenting books when I had babies. Ugh. How did you ever get it finished? I am so struggling with that right now. Well done girl!! Thank you! It was hard to finish, but oh so worth it. Good luck over there. You can finish it!